When considering a retirement community for yourself or a senior loved one, cost is always a major factor. Numerous variables impact the bottom line on how much you will be paying for the place you will call home. As you research your options, you’ll find that retirement communities come in different sizes and descriptions. For some, it may mean you’ll own the home and be in close contact to others your own age and special amenities. For others, it may mean senior apartments where you pay rent monthly. Other options include an independent living community as well as those that provide assisted living. In addition to the cost of the living space, you’ll also have to factor in the services provided by the community. Most of these places provide lawn care and exterior maintenance for the homes on the property. Others may include one or meals and light housekeeping as part of the amenities for living in the retirement community. Additional costs may include transportation, security and activities. Utilities may be included in the price. Retirement communities with features such as a pool, gym, and other common areas may have higher prices to compensate for the expenses that come with these amenities. Some may even have beauticians and coffee shops or other shops onsite as an added benefit to the residents. 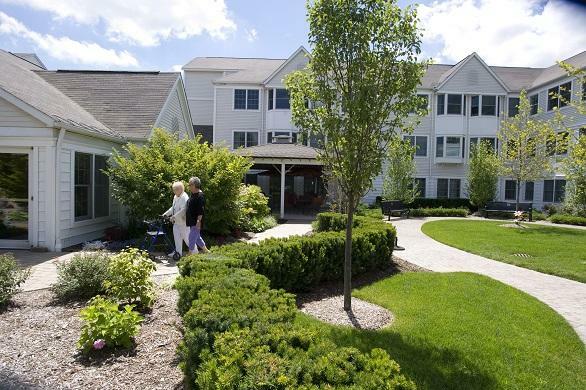 Retirement communities which have continuing care may charge a higher fee upfront. With these programs, the resident can move from independent living to a full level of care within the same community and live there for the rest of their life. Having this security comes with a cost, which must be paid when signing the agreement to move in. It may be called an entrance fee, and can be thousands of dollars. This cost is often all-inclusive for health care and other expenses. A modified continuing care agreement provides some of the same basic benefits, but they may be limited to a certain number of days or visits. The benefit of a continuing care retirement community is the senior doesn’t have to worry about where they will live when their health begins to decline. Costs won’t increase in many instances. The downside is that you have to be able to afford the initial expense when moving in. For those who choose to move to a community where they buy their own home, they have the advantage of purchasing an asset which will increase in value. When the time comes they need more care, they can sell the home to help pay for the expenses of moving to an assisted living center or continuing care facility. Retirement costs can vary based on what you’re looking for. Do your research and be aware of all your options before making a decision on where you or your loved one will live the rest of their lives.